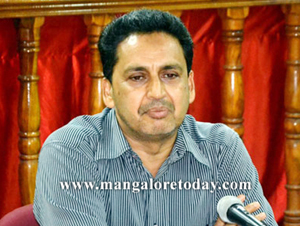 Mangaluru, Dec 5, 2015 : Dakshina Kannada Deputy Commissioner A.B. Ibrahim has in a press communique clarified that no organisation or individual from the district is allowed or authorised to raise donations for the flood affected people of Chennai. Even the Tamil Nadu government has already stated that it did not need any donation from anyone. The clarification comes in the wake of the reports that some organisations have started collecting donations from public for the cause of the flood victims. The communique has requested the public to complain to the toll free number 1077 in the DC office if anyone was found collecting donations. The DC has also informed that the Toll Free Number 1070 or 080-22340676 can be contacted for any help for people from the state who are in Chennai.